Our give back formula begins with consistently delivering amazing artiSOULnal bracelets. That is driven by making sure we empower the very best VOS artisans for the handcrafting process. We know that humans thrive when we can empower them to shape their own story and here’s a few examples of how VOS does that one person, one community and one planet at a time; consistently. We pay fair wages that abide by all local employment regulations. We reduce informal employment and labor market inequality. We provide safe and secure working environments. We ensure inclusive economic growth. We recognize that eradicating poverty in all of its forms and dimensions, including extreme poverty, is one of the greatest global challenges and an indispensable requirement for sustainable development. Through our consistent give back efforts, we’re effectively doing our part to contribute to the poverty eradication efforts fueled by a loyal customer base of repeat buyers. AFTER CONTINUALLY IMPROVING OUR 1st FOCUS WE THEN CAN ADDRESS OTHER MORAL RESPONSIBILITIES TO ENSURE THAT SOCIAL PROGRAMS ACTUALLY IMPROVE RECIPIENTS’ LIVES IN A FISCALLY PRUDENT MANNER. BELOW ARE THE 3 PRIMARY CHANNELS WHERE WE FOCUS OUR GIVE BACK EFFORTS. We know that handmade means soul-made and it signifies an emotional involvement industrialized goods can’t deliver, because the unique soul of each human being is irreplaceable. Therefore, VOS develops and supports programs that empower humans to reach their full potential and that starts with having the ethical necessities. From experience, we know that connecting locally is the most effective way of engaging with hard-to-reach people and impacting the real issues that need addressing. Local for VOS has always been both the United States and Guatemala that is why we develop and partner with initiatives that impact either or both countries. In order to effectively extend our reach of impact and empowerment, we strategically partner with other entities that align with our impact goals. VOS calls them Give Back Allies and in order to develop a solid relationship they must be sustainable, economically mindful, evolving and committed to the same social impact channels. We know that even the smallest of changes can make the biggest of differences and we are certain that other’s lives will not get better by chance, but instead by positive change. 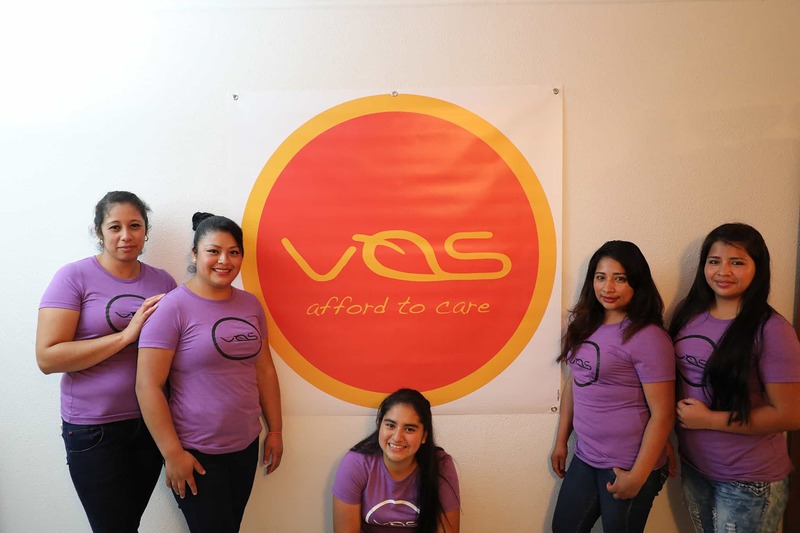 VOS coined the term “Afford To Care” as the umbrella that encompasses our efforts of impacting one person, one community and one planet at a time. For every positive change VOS is able to provide for a person or community it creates a chain reaction of multiplied beneficiaries. In addition, we support a precautionary approach to environmental challenges; undertake initiatives to promote greater environmental responsibility and encourage the development and diffusion of environmentally friendly products and technologies consistently around the globe.